Liverpool could be drawn into the ‘Group of Death’ in the Champions League this season, after Benfica qualified for the group stage with a 5-2 aggregate in over Greek side PAOK. Benfica’s win means that they are now in pot 2, something that means the Reds will be placed into pot 3 for Thursday’s draw as per Sky Sports. This isn’t good news for Liverpool, as it means that they could very well be drawn in this year’s version of the ‘Group of Death’, a nickname given to the group that contains the biggest and best clubs in it. 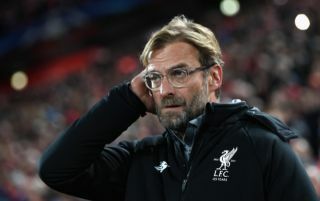 With the Reds now in pot 3, it means that they could, in the worst case scenario, end up in a group with Barcelona, Borussia Dortmund and Inter Milan, something we’re sure fans of the club, and Jurgen Klopp, would definitely not want to see happen. The best case scenario would most likely see the Merseyside club drawn into a group with Lokomotiv Moscow, Shakhtar Donetsk and AEK Athens. Liverpool fans will surely be a little more nervous for Thursday’s draw following Benfica’s result on Wednesday, as they wait in anticipation to see who their club are matched up with in this season’s Champions League. Reds supporters will be hoping to see their side get the easiest draw possible, as the club look to go one better than their campaign last year, where they finished runners-up to Real Madrid in the final.